This is also very good with sunflower seeds instead of peanuts or almonds. Use 2 cups of sunflower seeds if you decide to try it that way instead. Also it’s important to use Miracle Whip and not regular mayonnaise. There are seasonings in Miracle Whip that give this dish a little “zing”. 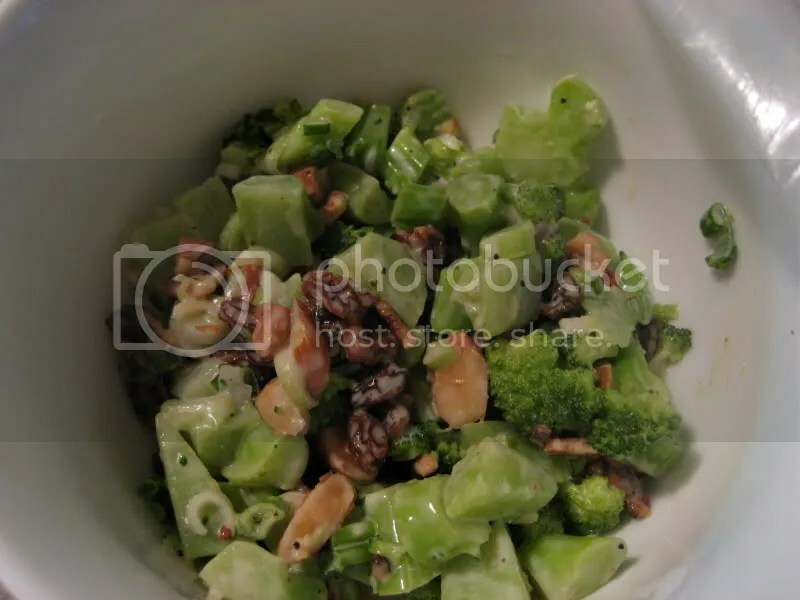 In a large bowl, mix together broccoli, nuts, raisins, bacon and onions. In a small bowl, mix together Miracle Whip, sugar and vinegar. Combine and lightly toss both mixtures together. Serve immediately. Feeds 4 – 6.